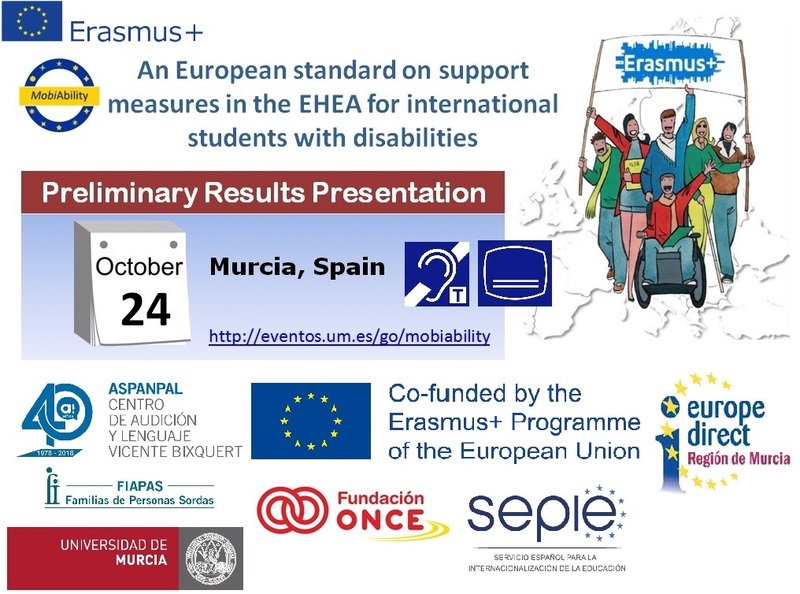 We are pleased to invite you to our multiplier event in the frame of the Erasmus+ Project MobiAbility next 24th October. 1. Presentation of preliminary results: The standard of minimum support measures and recommendations for inclusion of students with special needs in mobility programmes. The MobiAbility web platform: Searcher of accessible universities, student follow-up, tools for University staff, etc. Stakeholders: European, national and regional policy representatives, national agencies for internationalization, Vice Chancellors, university staff, students, etc.